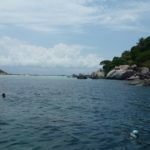 Japanese Gardens is a popular dive site in Koh Tao and a good choice for beginner divers. 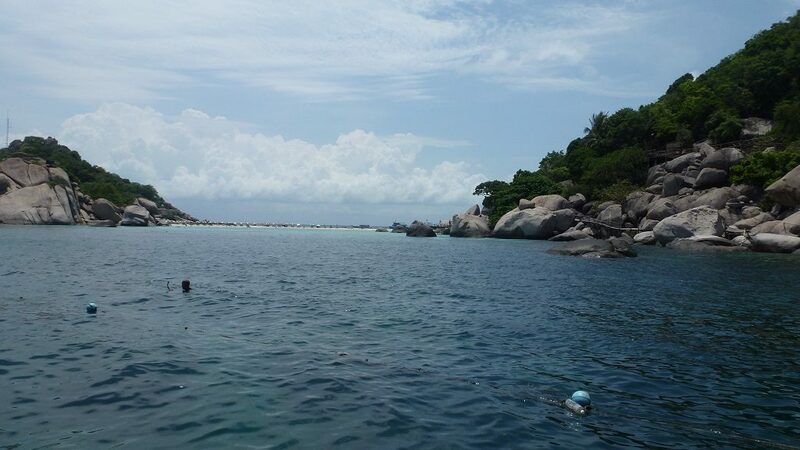 The divesite is located around Koh Nang Yuan. A popular spot for snorkelers and first time divers it’s relatively shallow (Max Depth 15m) and for most of the year has little or no current. Consisting of hundreds of hard and soft coral formations creating the impression of an oriental garden Japanese Gardens boats plenty to see including Fusiliers, Rabbit Fish, Catfish and Giant Pufferfish. Masses of plate coral, sloping away from Koh Nang Yuan, mixed hard corals growing amongst the rocks and boulders, lots of Staghorn and barrel sponges, table, pillar and brain corals.